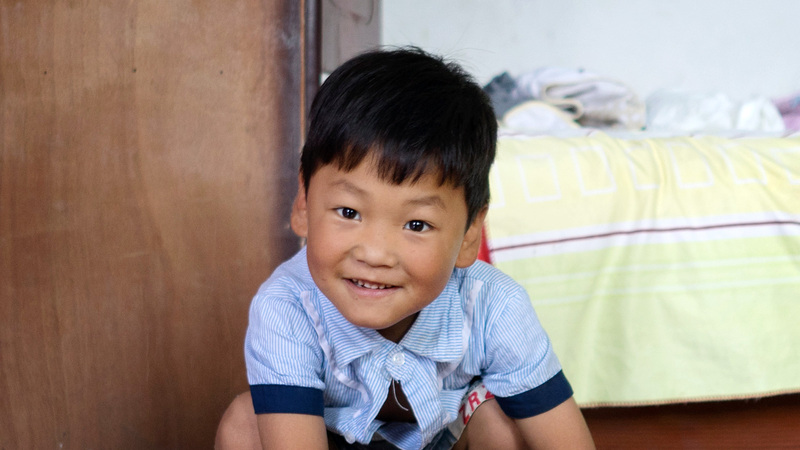 Xiaoming is a 5-year-old boy who is short for his age. 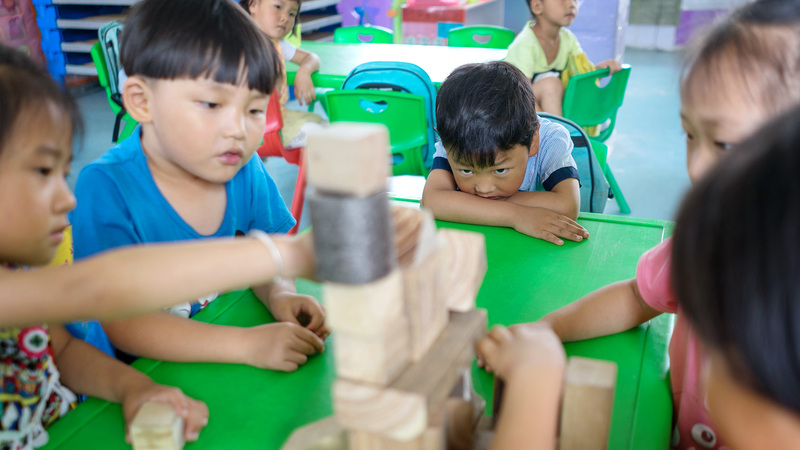 When Xiaoming first joined OneSky’s preschool, he was timid: while the other children in class talked and laughed, he sat alone quietly and was often sleepy, no doubt because he already had adult responsibilities on his thin shoulders. 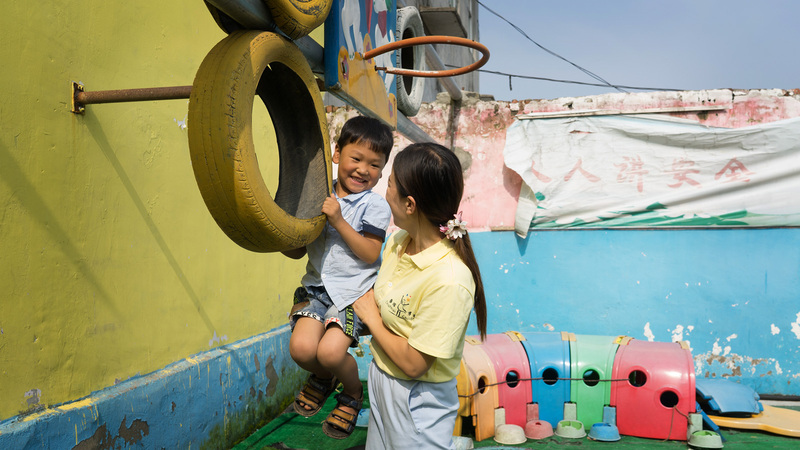 Since he was a baby, Xiaoming has been taken care of by his grandmother Wang Fen, who stepped in after his mother abandoned the family because of their poor financial situation. 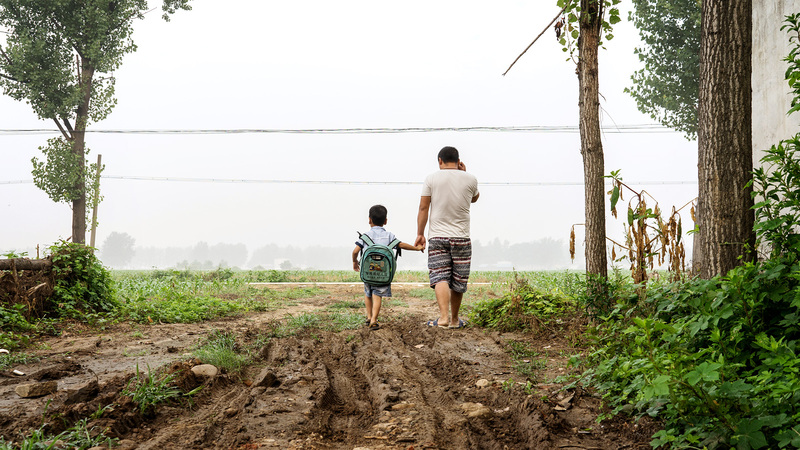 Xiaoming’s dad Li Dahai is rarely at home because he has to work outside the village to support the family, just as his father, who died of tuberculosis 18 years ago, did. 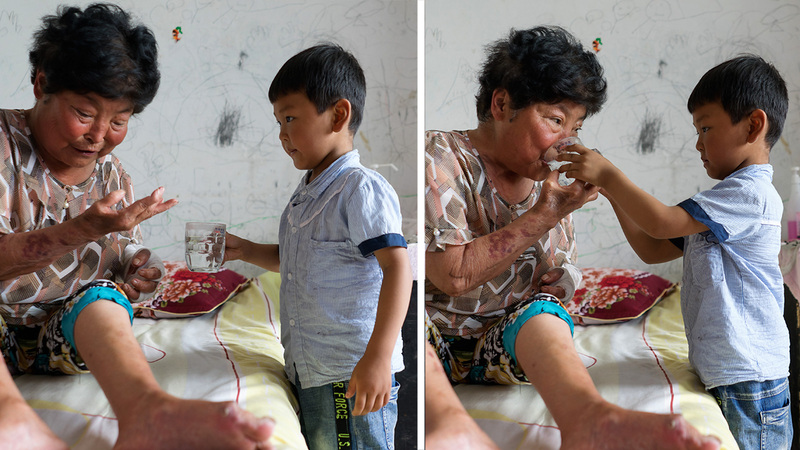 Sadly, Wang Fen has suffered from serious rheumatic disease for almost three decades—her limbs are completely deformed and it is very difficult for her to walk and get dressed and undressed. 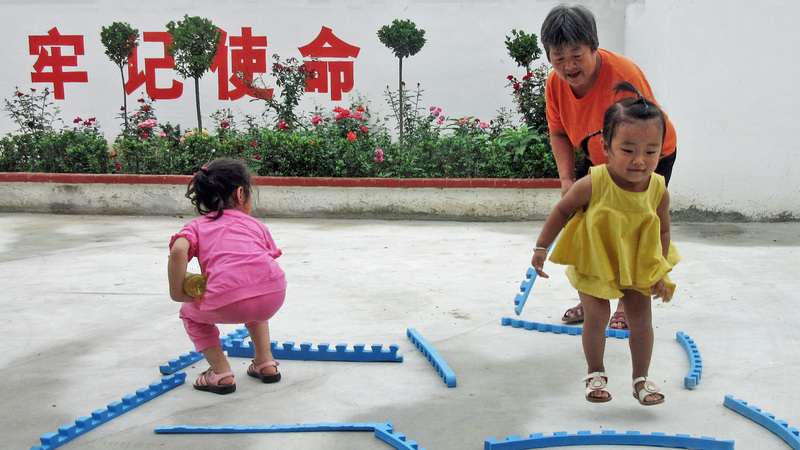 Her rheumatic disease has also resulted in other chronic conditions that cost several thousand RMB a month to treat. 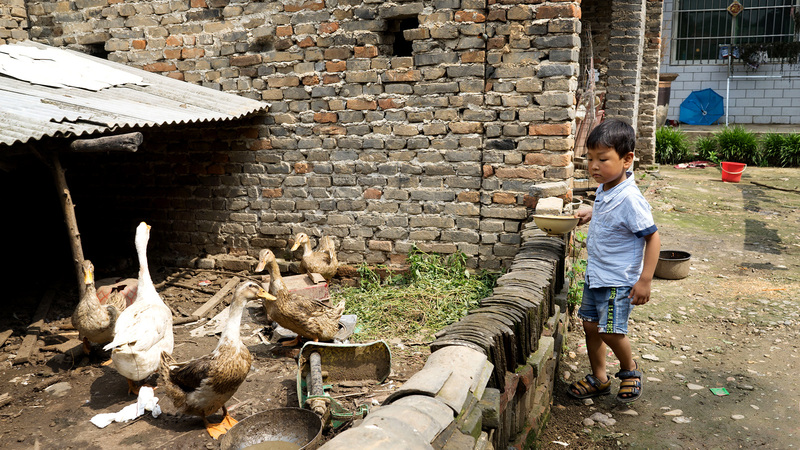 At first Wang Fen planned to raise some chicken and ducks to help support the family, but her worsening health meant that she could not get out of bed let alone raise chicken and ducks. 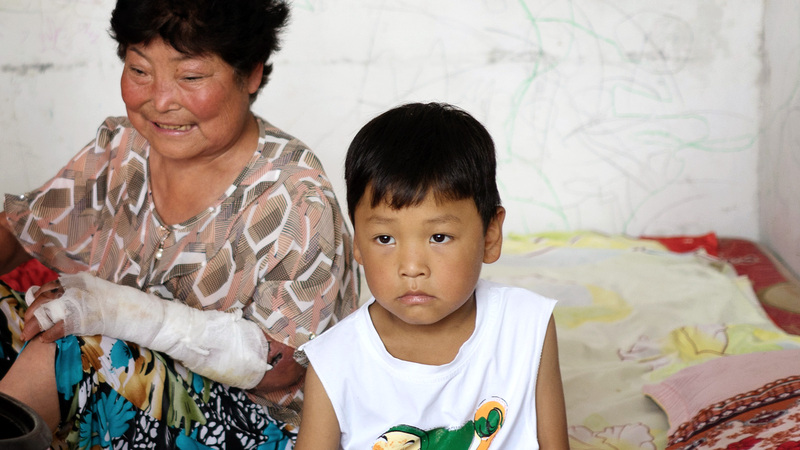 Still, she tries to make breakfast and dinner for Xiaoming every day, though recently she had to spend a week in the hospital after she cut her hand accidentally and developed a dangerous infection. 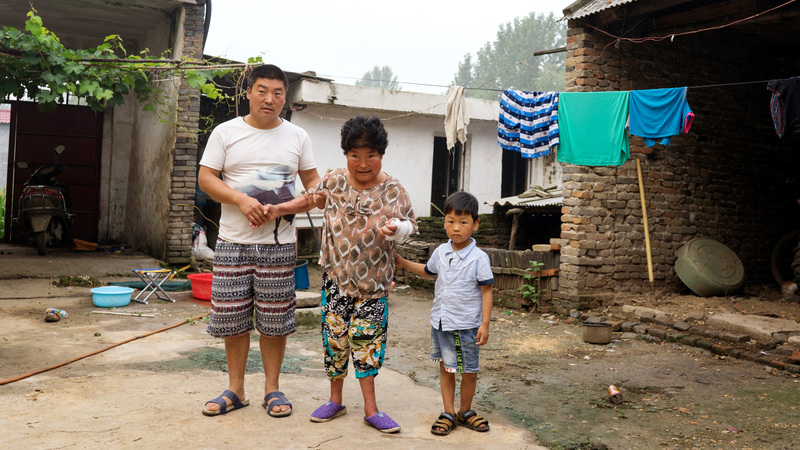 Sometimes Wang Fen’s elder son’s wife helps by giving the family food and washing their clothes, but she recently had major surgery and is still recuperating. 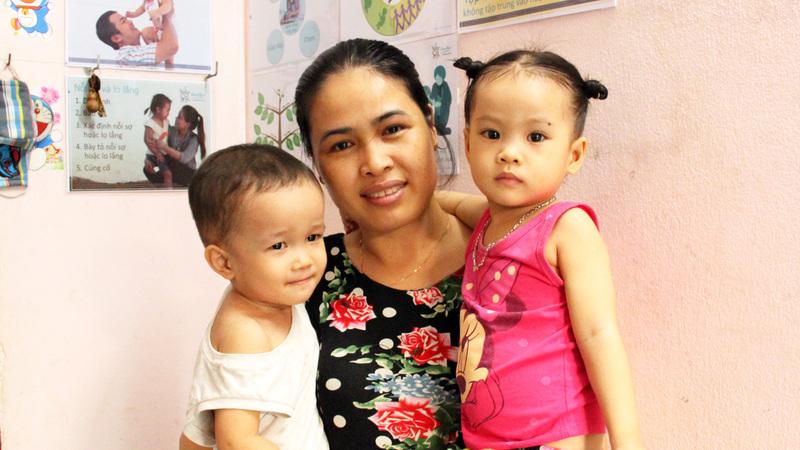 In addition, her family’s financial condition is also not good and she has to take care of her own family first. Unsurprisingly, with a sick grandmother and a little boy doing the best he can, the rooms are dirty and messy and the courtyard is messy as well. 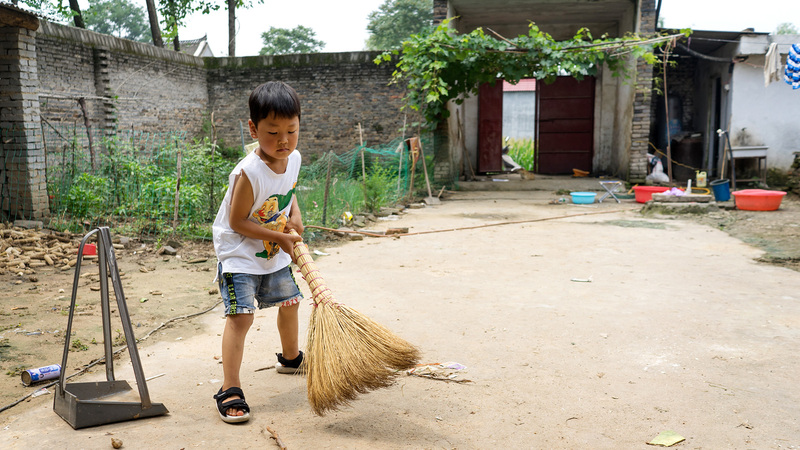 Though his daily life is challenging at home, at school, Xiaoming is faring extremely well. 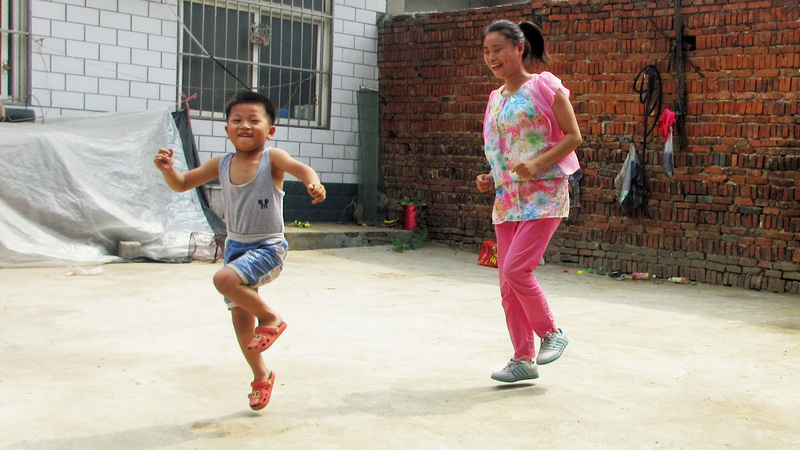 After observing Xiaoming’s situation for a period of time and learning about his family issues, his teacher Cao Yan came up with a plan she hoped would result in his becoming as lively as the other children. First she made sure to play and talk with him often. 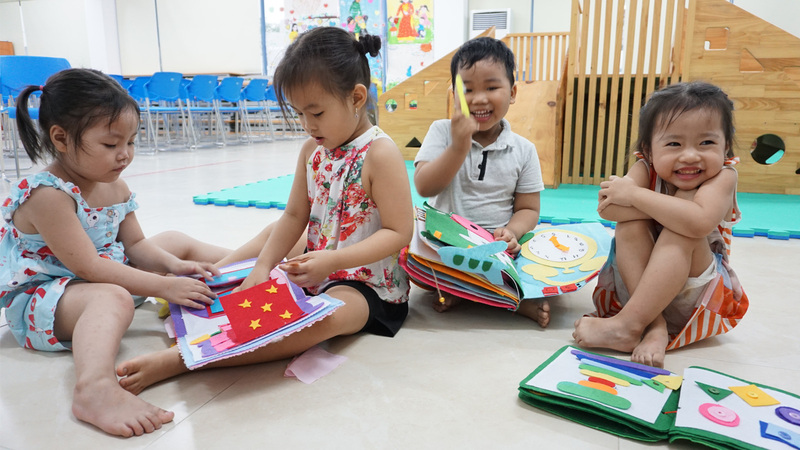 Then gradually, she guided him to express his ideas and encouraged him to play with other children. The big breakthrough came when Cao Yan learned that Xiaoming loves to paint and is good at it. After learning about his love of painting, she often praised him and encouraged him to draw freely. 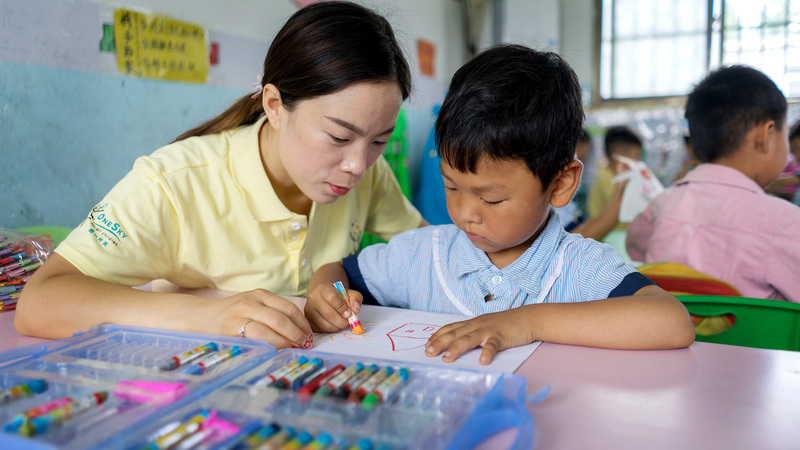 Thanks to the individualized attention he received from teachers who care about him, Xiaoming gradually became more talkative and started to socialize with other children and play games with them. 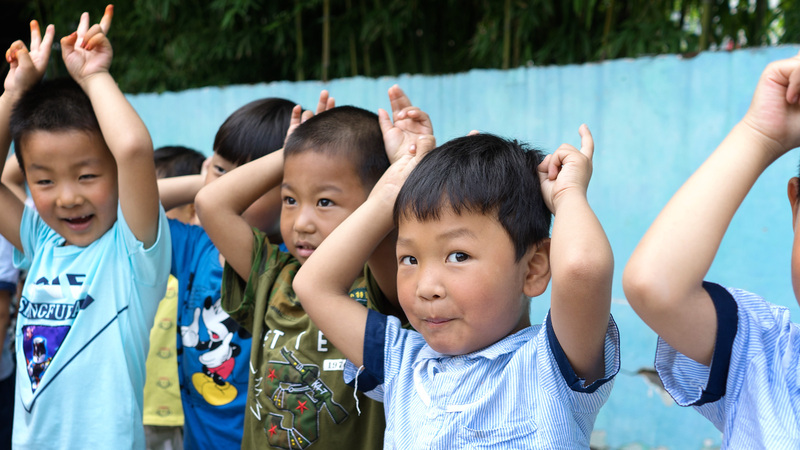 When he encountered difficulties, he asked the teachers for help and took the initiative to express his wishes.